UK new van registrations fall -5.8% in June, with more than 35,000 hitting UK roads. Popular pickup market continues to grow, up 4.1%, but all small, medium and large vans experience decline. 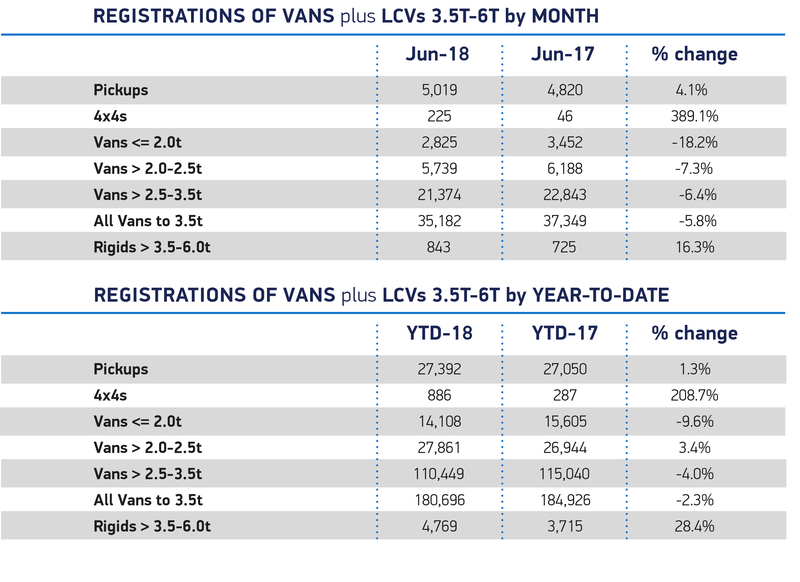 More than 180,000 new van registrations in first six months Ã¢ÂÂ down -2.3% against the same period in 2017. British light commercial vehicle (LCVs) registrations declined in June, according to figures released today by the Society of Motor Manufacturers and Traders (SMMT). 35,182 new vans and pickups were registered last month, representing a -5.8% decline on June 2017. Small, medium and large sized vans all saw demand fall in the month, down -18.2%, -7.3% and -6.4% respectively. Meanwhile, the number of pickups joining British roads increased in June, up 4.1% to 5,019 units. 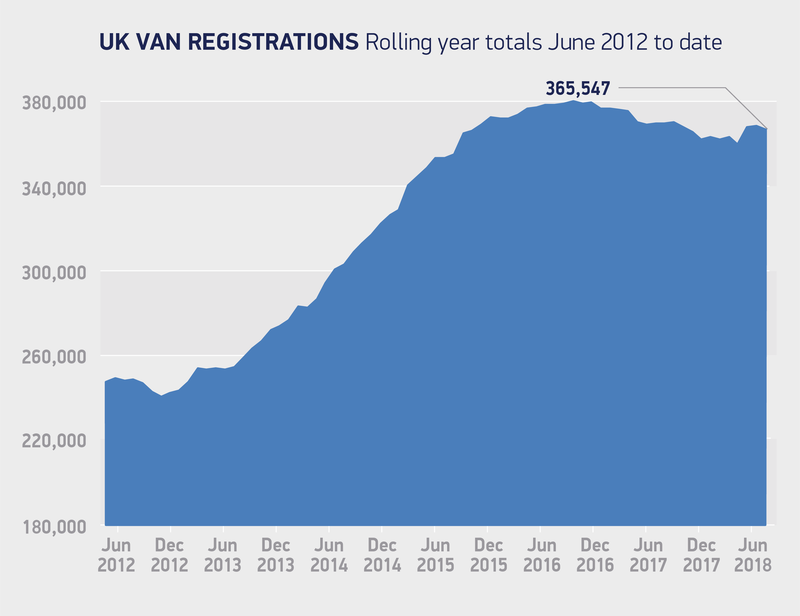 UK van registrations have fluctuated throughout the first half of this year, reflecting variable buying cycles which are a natural feature of the market. Despite this and recognising the fact that demand is still at a historically high level, the overall trend is downwards, with Brexit uncertainty and its negative effect on business confidence threatening long-term growth. 1. 133,177 LCVs were sold in the first half of 2013.